One of the first decisions that have to be made for someone planning a planted aquarium is ‘high tech’ or ‘low tech’. These terms tend to include aspects of plant keeping including the lighting, fertilizers, selection of plants (low light plants or high light plants). In my mind, the defining factor of a ‘high tech’ planted aquarium is adding a pressurized CO2 system. I decided very quickly that there were many disadvantages to attempting a CO2 setup for my first attempt at a planted aquarium, so a low-tech approach became my focus. Despite all the advantages of a low-tech approach, wouldn’t it be great to have a compromise between an all-in CO2 setup and a slow growth setup? 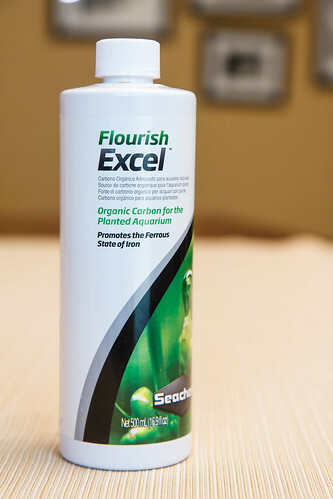 There is such a solution, and it involves a product from Seachem called Flourish Excel . Seachem Excel is also known as an algaecide. It is the preferred method for many people to kill off Black Beard Alage (BBA) by using the full day dosage distributed right on the spot of algae using a pipette . 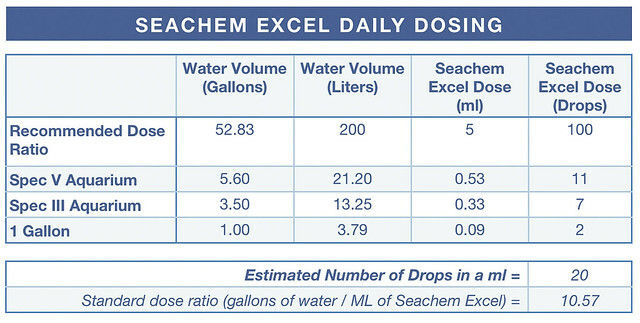 Seachem Excel is to be dosed every day. 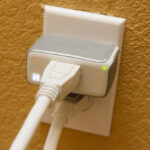 One disadvantage to this product is that it has a short half life of around 12 hours. This means that it won’t hang around in your aquarium for more than a day and therefore needs to be added daily. It is best to put the daily dose of Excel into your aquarium before the light on phase starts, which will be in the morning for most people. Keeping plant growth balanced against algae will always require that three things be kept in sync: lighting, nutrients, and CO2. If either CO2 or nutrients are limited, then the result will be algae (if there is excessive light). It is important to keep in mind that as you are increasing CO2 by adding Excel, you may need to increase fertilizers that you are adding to the water column to stay in sync. You can also consider that you may be able to increase the lighting, either intensity or duration, to match the CO2 that is being provided. Seachem offers two dosing scenarios for Excel. The first is your daily dosing. They suggest dosing at a rate of 1 capful (5 ml) for every 200 liters of water. The second is a dose following a major (greater than 40%) water change. 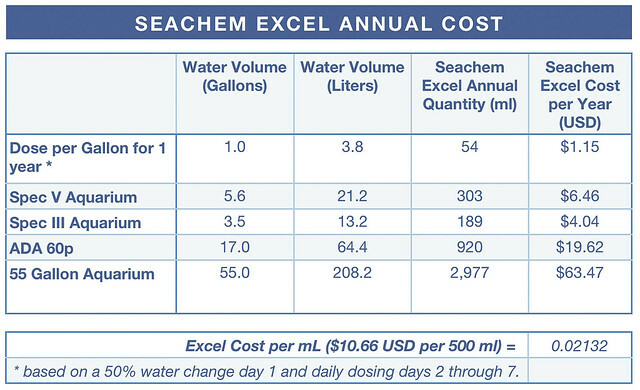 For this, Seachem suggest dosing 1 capful (5 ml) for every 40 liters. Seachem’s use of ‘capful’ in their instructions is difficult for nano aquarist. 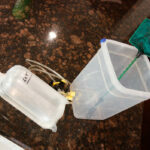 The dosing for very small tanks is best measured using more accurate methods. I utilize drops as measurement for dosing in a Fluval Spec V.
For use in my Spec V, I put in 10 drops every morning before I go to work. Quick and easy, and the results in plant growth and algae control are well worth it! I have read the reasoning for why this larger dose is recommended. It seems that a large water change will remove large quantities of residual Excel and CO2. This increased dosage is an effort to makeup what is removed. I personally have chosen to not perform this increased dosage after water change. I ignore the instructions and only continue to perform the daily dose every day. I know that they surely understand what they are instructing their customers to do. However, I can’t ignore the very short half life of Excel and I don’t fully believe that there could be that much CO2 accumulated prior to a water change. Most of the negative things I hear about Excel involve people complaining that it has harmed or killed shrimp in their aquariums. I have not noticed any problems with my red cherry shrimp. They are breeding like crazy and quite active and show no negative effects. Plant growth is very good with no detrimental effects from using Excel. I think most people’s problems with Seachem Excel comes from overdosing. It is important not to rely on ‘capfuls’ or other such measures when dosing on a smaller aquarium. Get yourself an accurate syringe or dose using drops. Note that this product is not suitable for certain plants and it will kill them. This includes: mosses, Vallisneria (Val), and ferns. If your aquascape include plants in these categories, avoid using Excel or proceed slowly and with caution. For use in a 5 gallon aquarium, the annual cost of using Excel is about $6.50 UDS per year. I think this is extremely affordable considering the benefits received. 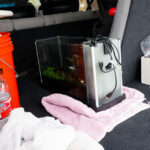 It’s clear that it is very affordable for nano aquariums. Where diminishing returns kicks in is for larger aquariums. 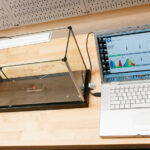 Dosing a 55 gallon aquarium would cost about $63 USD a year. Over time, this would probably exceed the cost of filling up CO2 tanks. The cost tipping point will vary based on goals and expectations, but Excel fits my needs at the moment. If I was building another planted tank, I would consider a larger aquarium and would probably favor going with injected gaseous CO2. 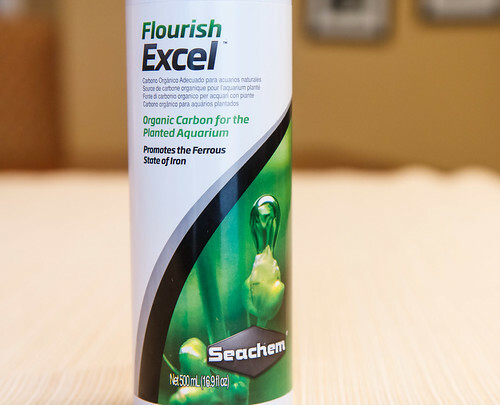 Seachem Flourish Excel is sold in the following sizes: 100 ml, 250 ml, 500 ml, 2 liters, 4 liters, 20 liters. The 500 ml bottle is a sweet spot for price and was the best deal for me. 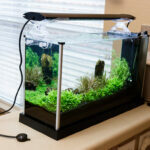 I think it’s a great product and wouldn’t hesitate to recommend for a nano aquarist who wants to improve plant growth. 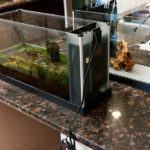 The cost is almost negligible long term when considering all the benefits to a planted aquarium. The only sacrifice is remembering to be consistent and dose every day. This entry was posted in Product Reviews and tagged carbon, co2, daily, dose, flourish excel, plant fertilizer. Bookmark the permalink. I’ll start using Flourish Excel today too see how it works! I have a 30 gallon deep tank and I am dosing 1ml per gallon which is 3ml every morning. why do they not use that formula for people to know without a doubt. this capful per 50 gallons don’t tell you anything. Yes, capfuls only apply to very large tanks. This works for me in 2 tanks. 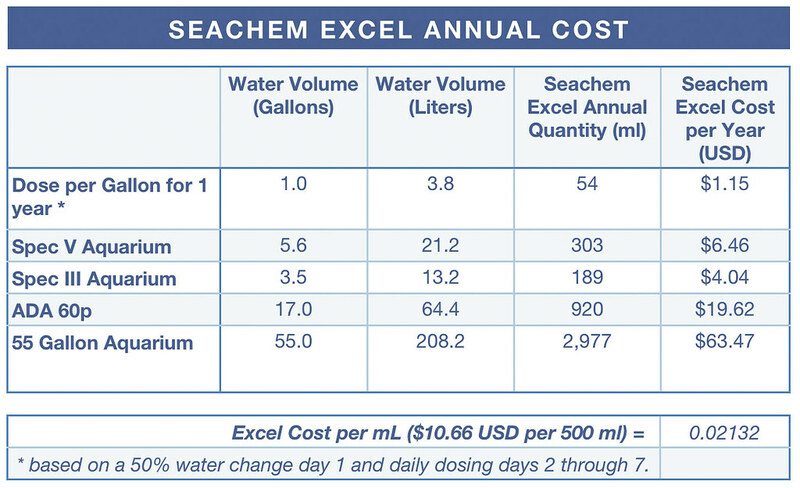 I have emailed seachem to ask if they could simplify the dosing equation, but no answer.